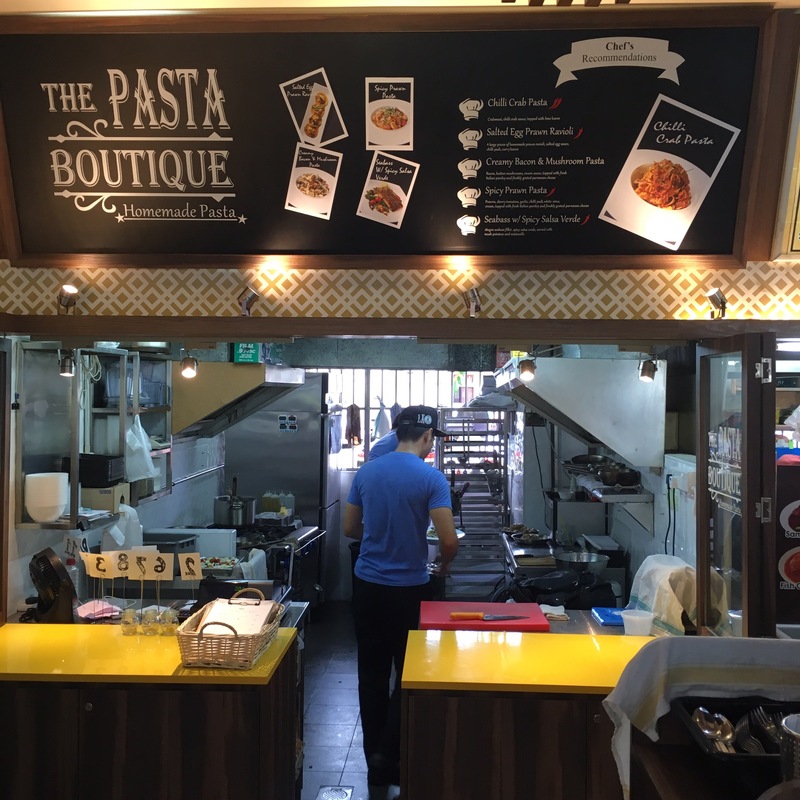 Recently I was contacted by one of the partners of this little stall located in Bedok area to try out their food. So I brought along some foodies who were not working on one of the days I was off. 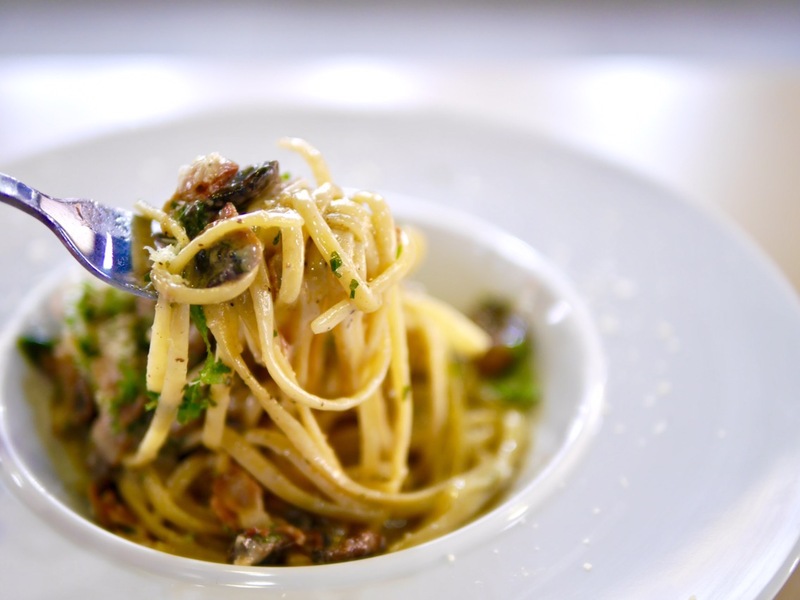 Creamy Bacon & Mushroom Pasta ($9.50) – I love this so much. Love how the creamy sauce is reduced into the pasta and yet still holding the al dente-ness. Very yummy dish! 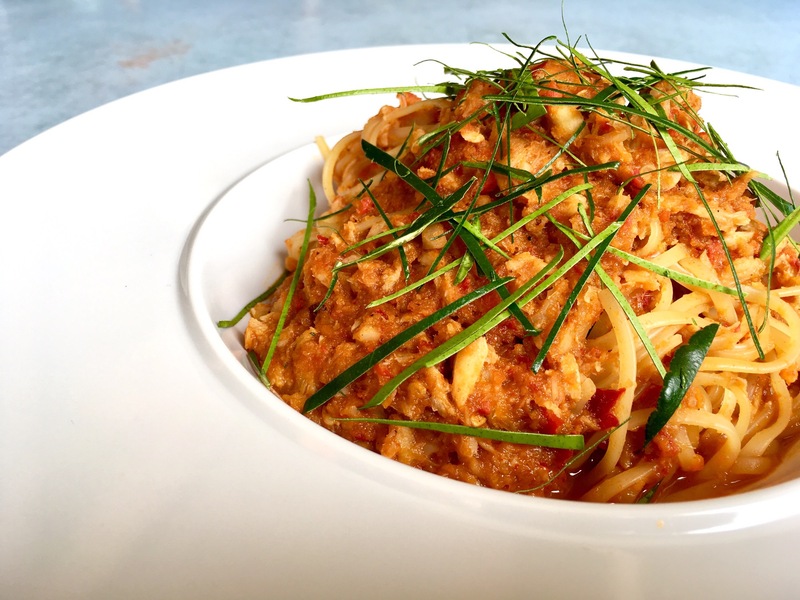 Chilli Crab Pasta ($10.50). Taste is a fusion Asian taste with kaffir lime leaves on top. Very generous in crab meat toppings. 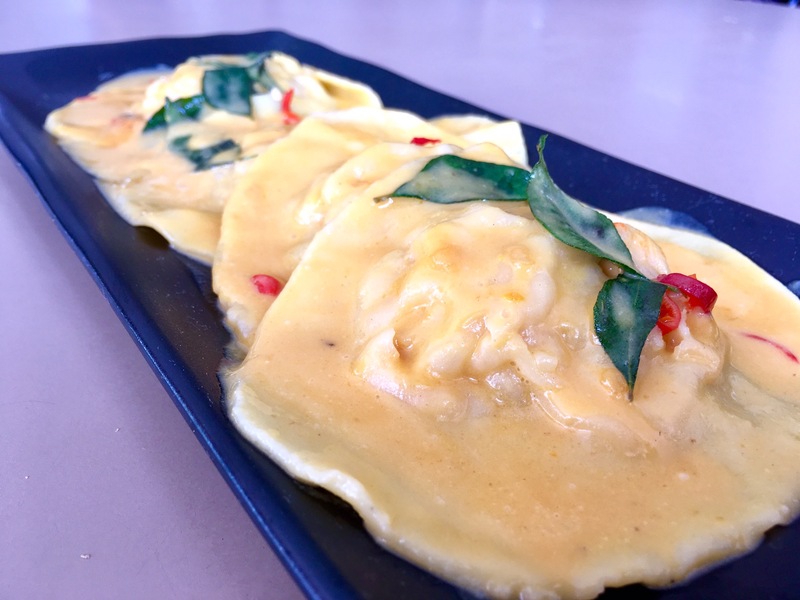 Salted Egg Prawn Ravioli ($13.80) Four large pieces of homemade prawn ravioli, salted egg sauce, chilli padi and curry leaves. The skin was a little thick for us but the taste was good. 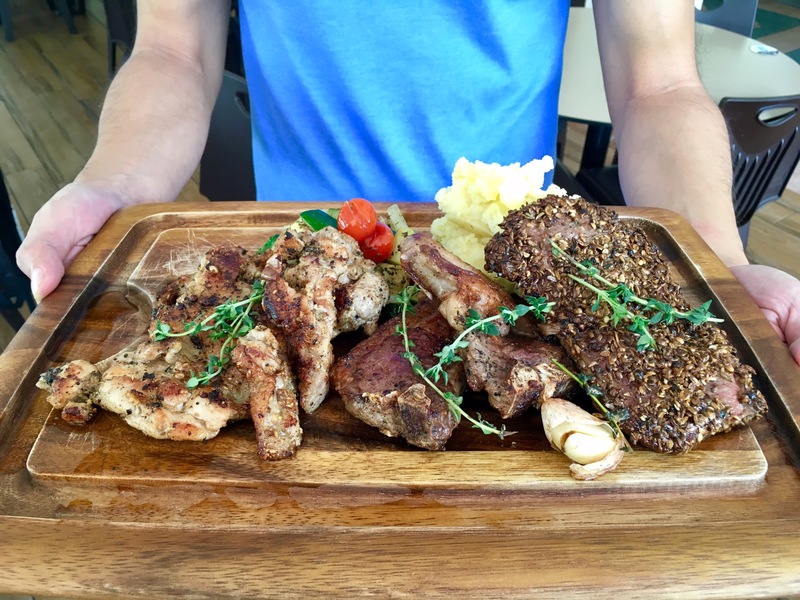 Hearty Platter (For 2 at $29.80) – A great deal which consist of 220gm Striploin Steak, 160gm Lamb Chop, 250gm Chicken Chop. Served with Mashed potato and Ratatouille. Choice of sauce: Mustard, Black Pepper, Mushroom. Taste: Overall taste is good, just need to tweak on some of the recipe to make it great. Service: Order at counter and food will be served to table.